Our Digital Realty Netball squad has jumped straight back into training preparing for a fantastic year ahead! 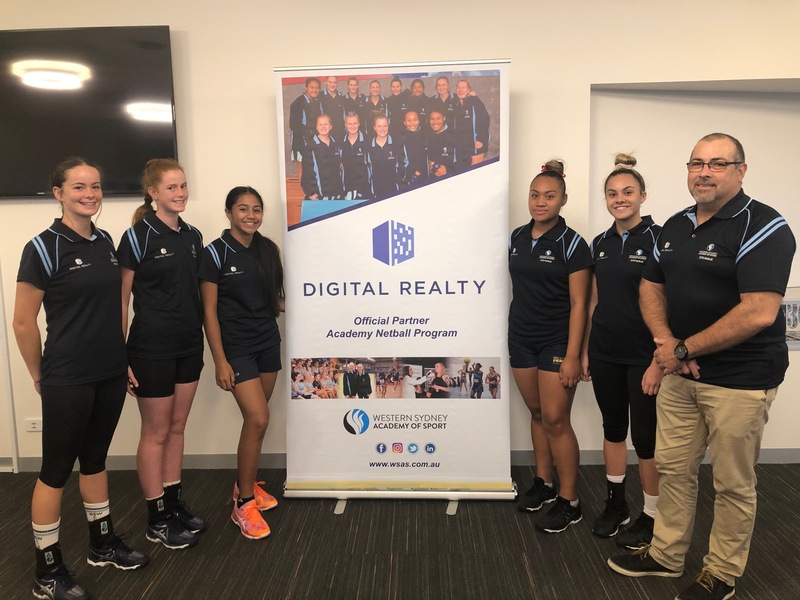 Before their first training session on 1 February we held an induction meeting with the athlete’s and their parents to prepare them for the season ahead and introduce them to our official naming partner for the netball squad- Digital Realty. We were also very lucky to have Director, Data Centre Operations, Australia Rod Glover in attendance representing Digital Realty. The Support the Academy receives from Digital Realty enables us to continue offering vital opportunities for talented athletes who are representing their sport at a high level within the western Sydney region. We thank Digital Realty for their continued support and look forward to a fantastic netball season ahead.